Product prices and availability are accurate as of 2019-04-14 01:00:25 EDT and are subject to change. Any price and availability information displayed on http://www.amazon.com/ at the time of purchase will apply to the purchase of this product. 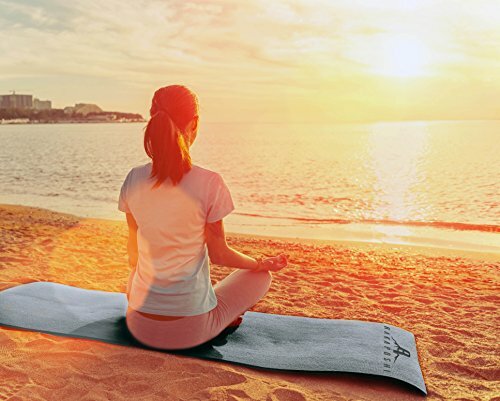 Yoga can be relaxing, but not without the extra thick comfort you'll get from Rakaposhi Yoga Excercise Mats! 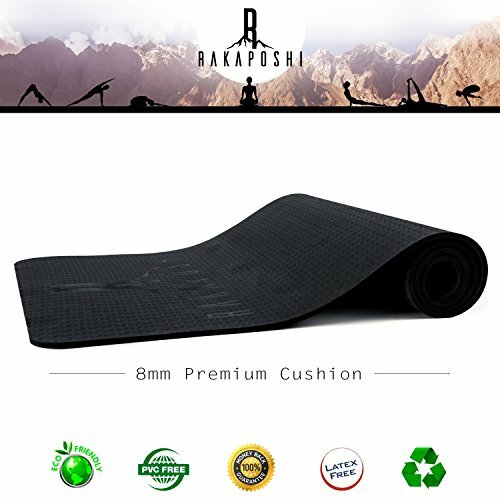 Whether you're looking for a thick comfortable exercise mat, a non-slip workout yoga mat, or the perfect sit-up mat; a Rakaposhi Extra Thick High Density Exercise and Yoga Mat will help you relax, strengthen your mind, and share your soul with fitness. Perfect for male, female, child or adult. 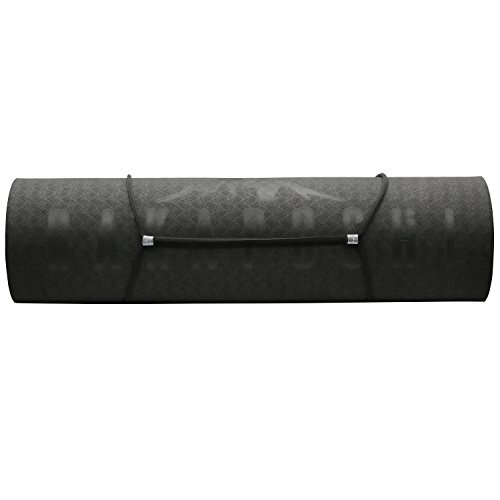 Rakaposhi yoga mats create zen, and peaceful tranquility in any pose performed for Yoga or Pilates. A stable, comfortable base for sit-up mat, or perfect relief on your achy joints. Ready to empower your body, mind and soul with non-toxic, eco-friendly thick yoga mat? 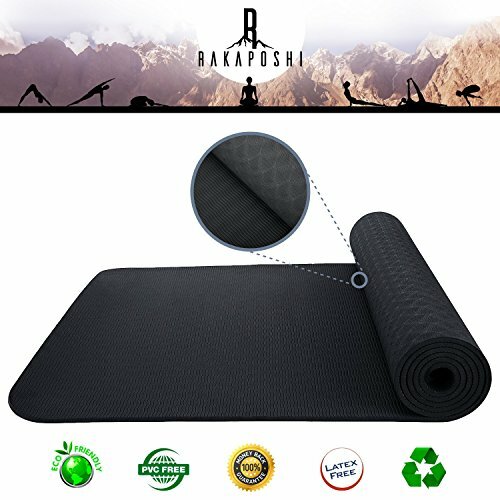 Click 'Add to Cart' now and get the Rakaposhi TPE Yoga Mat today! Namaste. PERFECT FOR ALL SIZES SHAPES and ABILITIES - 72" x 24" allows ample space for long stances like downdog, and planking. NON-TOXIC, ECO-FRIENDLY TPE OPEN CELL TECHNOLOGY - Rakaposhi is made of the latest TPE materials that allow for a drier surface while you pose without compromising on grip. TPE is very easy-to-clean. 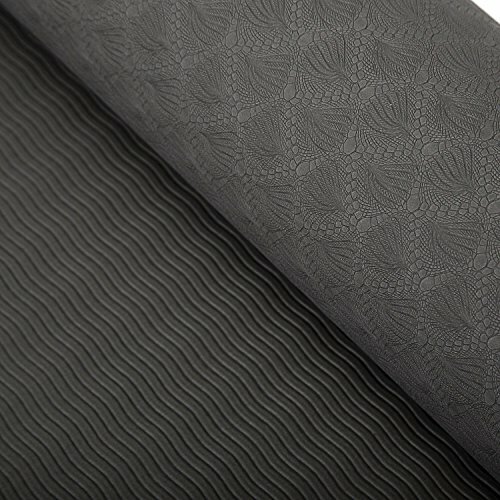 THICK YOGA, PILATES OR SIT-UP MAT - 1/3" Thick double sided surface patterns increase grip and stability while cushioning your knees, hips, spine, and elbow from hard surfaces, preventing injuries. Especially during Hot Yoga. 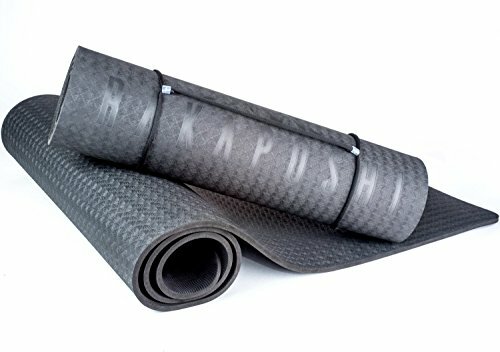 EASY STORAGE AND TRANSPORT - A free yoga strap is included so storing and using Rakaposhi Yoga Mats for travel is easy and convenient. SATISFACTION GUARANTEED Every Rakaposhi product is backed by superior quality materials, reliable customer service, and a 100% money back guarantee.